Provide comfort for the family of Flossie Olson with a meaningful gesture of sympathy. Flossie Marie Lewis Olson passed away Thursday, March 21, 2019 at the age of 92. Graveside service will be at 10:30 am on Tuesday, March 26 at Oakwood Cemetery with Pastor Austin Nickel officiating. Visitation will be 6 - 8 pm Monday, March 25 at Pecan Grove Funeral Home, 3124 Robinson Dr., Waco. Flossie was born March 8, 1927 in Waco, Texas to Charlie Ross and Louise Schulz Lewis. Though she recalled the hardship of growing up during the Depression, she had a very happy childhood. She loved and had fond memories of her large family of Aunts, Uncles and cousins. Flossie graduated from Waco High School in 1944. She entered the Providence School of Nursing through the Cadet Nursing Corp. and graduated in 1947. She continued her education in New Orleans. Flossie met Floyd Olson on a blind date and they married on November 22, 1950. Together they raised five children and were happily married until he passed away in 2009. The family enjoyed camping fishing and summer vacations. Flossie was an excellent cook and seamstress. She was busy with her children’s school activities, being a lifetime member of PTA and served as room mother for many years. Flossie and Floyd had a large garden and she canned and preserved food for the year. Flossie was a stay at home mom until she returned to work at Providence Hospital in 1967. She loved her work as a RN and Director of Nursing Service for 35 years until she retired at the age of 75. Flossie was an active member of First Lutheran Church. She loved her work with Lutheran World Relief and cooking and delivering Meals on Wheels for 30+ years. She was preceded in death by her parents; her husband, Floyd; sister, Billie Porter; brother, CR Lewis Jr.; granddaughter, Jamie Kersey. Flossie is survived by her children, Phyllis Olson, Gina and Jim Kersey, Greg and Bea Olson, Paul Olson, Janice and Noel Jones; grandchildren and spouses, Rachel and Gary, Jason and Kelly, Lindsay and Chris, Joshua and Jason, Joshua and Michelle, Michael and Jenna, Jacque and Brian, Erica and James, Bo and Catie, William, Laura and Marcus; great-grandchildren, Madison, Noah, Hannah, Megan, Ryan, Jacob, Ethan, Evelyn, Emery, Jameson, Jordan, Jolie, Jaylen, Paige, Blaine, Landry, Merritt and Marianne. The Olson family is grateful for the love and support we and our mother received from Providence Hospice. We especially thank Kay and Crystal, your visits brightened our day. Memorial donations may be made to First Lutheran Church, 100 N. 6th St., Ste. 301 Waco, TX 76701, or the Charity of your choice. We encourage you to share your most beloved memories of Flossie here, so that the family and other loved ones can always see it. You can upload cherished photographs, or share your favorite stories, and can even comment on those shared by others. 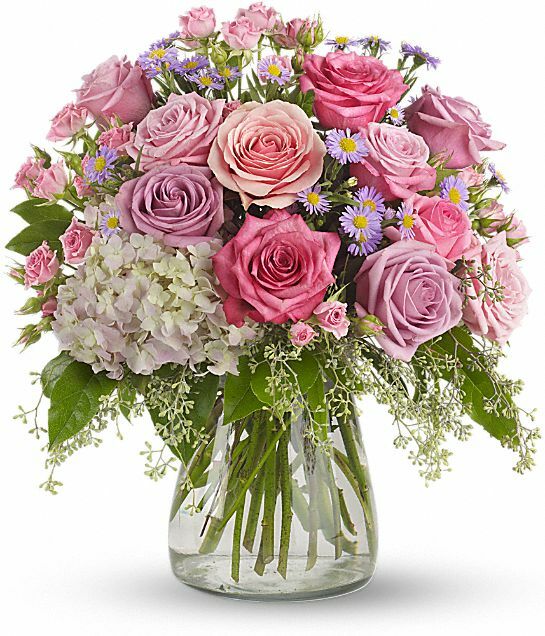 TXDOT Family and Julia allen have sent flowers to the family of Flossie Marie Olson (Lewis). My husband knew Floyd from General Tire. I had the honor of knowing Flossie for many years at Providence Health Center. She used to tell stories about going to the Providence School of Nursing and how strict the sisters were. But no better nurses were ever trained to give generous, loving care to both staff and nurses alike. Her laugh was contagious. Just to hear it made me laugh. She was a professional, wise lady who was willing to share any knowledge she had and I was so fortunate to have benefited from it. I pray that her loved ones always remember her with that same laugh and cheerful disposition. She will leave a hole in your hearts but I know she would want you to remember her as the PRECIOUS sweet person that she was. Thanks Flossie, for being a part of our lives. Our warmest condolences, to your family. TXDOT Family purchased the Your Light Shines for the family of Flossie Olson.